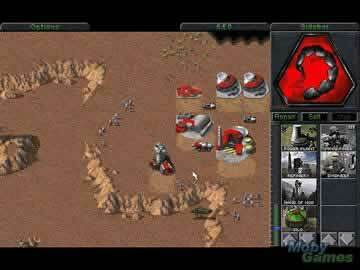 Command and Conquer Gold Game - Download and Play Free Version! The Godfather of Real Time Strategy Games! To celebrate the 12 year anniversary of the much beloved Command and Conquer series, Electronic Arts has made the game that started the real time strategy rage a completely free download! 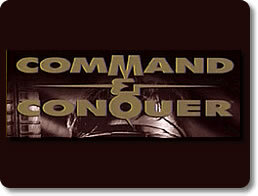 Command & Conquer, is an interactive strategy game like no other. Unlike traditional "strategy" games, Command & Conquer offers real-time combat. The emphasis isn't on turn taking or solving tactical problems like fuel, food, and bullets, but on real-time thrills, spills, and kills. In Command & Conquer, you must first choose who you fight for. Does your allegiance go to The evil Brotherhood of Nod, a terrorist faction bent on world dominance? Or, do you choose to fight for the good of all, and support the United Nations Global Defense Initiative (GDI)? Each side has its own campaign and unique units. Check out some footage from the first real-time strategy game of the Command & Conquer series.